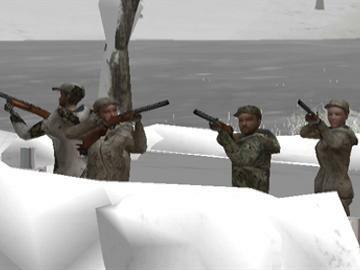 Experience the crackle of gunfire on a remote island with wild ducks flying all around you! Enjoy the most realistic 3D duck hunting game ever made! 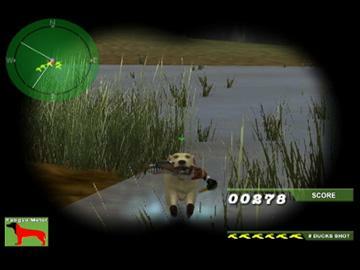 Ultimate Duck Hunting is the first and only 3D duck hunting simulation that features both single and mulitplayer capabilities. You and your dog compete with your companions and their dogs for wild ducks in known North American hunting preserves. Your choice of accessories, dog- training ability, and aim accuracy determines your ultimate sucess. 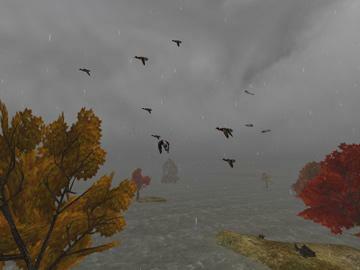 On a desolate island, teaming with ducks in the middle of a thunderstorm, shoot the ducks and watch feathers explode with every hit! Then guide your trained dog through the murky waters to retrieve your fallen ducks. Choice of hunting accessories (shotgun, decoys, camo, and dog). Dog-training in essential commands (remote sit, left over, right over, and back). Six realistically detailed locales teeming with wild ducks. This duck hunting computer game is very realistic and is playable as a single play or on the internet where multiple players can compete with each other on the internet.